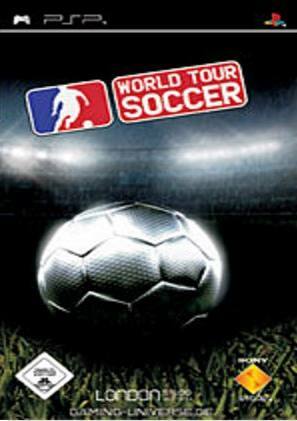 The whistle blows, the crowd roars and you are off and playing the handheld version of World Tour Soccer for PSP. All things considered, this is really one choice of two in this genre, the other being from EA Fifa. Normally I’d be the first to say that I’d be looking at the Fifa title before this one, however with the PSP things are slightly different. First impressions show that this is a good-looking game that is surprisingly fully featured considering the format that it’s on. Most of the things that one would like about the full console version are here such as loads of extras, stadiums and teams that you can unlock. One thing to note here is that the developer has really tried to give gamers the best value for money that they possibly could and I would agree that this is a game that soccer fans really should spend money on. There are some issues with the AI of the game that result in some weird behaviours from both your team mates and the opposition. Things like non responses when the ball is kicked to not paying attention to gameplay to bad umpiring decision, these errors do not occur very often but it still is frustrating when it does happen, especially if the game is close. These problems only surfaced a couple of times each during the review playtime but the whole thing is that they did happen which was just annoying. Adding to the beauty of this title is the fact that you can earn bonus points for playing great football that will go toward your score allowing you to dabble in some of those great bonuses I mentioned so be sure that you are not playing sloppy soccer folks. Points will appear on the screen when you are being clever and are certainly a nice gameplay addition. 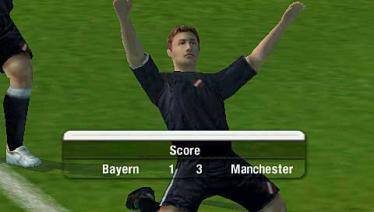 Realism is missing a bit for those of you wanting the definitive soccer experience in everything that they touch. The lineups are not as accurate as they could be and the stats are a bit weird for some players with a number of players ranked higher than they should. There is a not a career mode but the challenges that you will face more than make up for it. Wireless gameplay is exhibition mode only which really for my money was fine, most of the time with that sort of gameplay I just want to get in and get back out again without much hassle or care. The audio on the title is appropriate with good call selections and emotions when approaching goal or after a score. I’d say give this title a shot if you like your soccer or at the very least rent it. There are some nice moments for players and there are enough to keep you coming back to the game. Give it a crack.